The Philippines has welcomed scheduled cruises with a number of Cruise Line Companies in the last few years, giving world travellers more ways to visit and see this beautiful country. Cruise line passengers get a brief window for whistle-stop tours of destinations such as Boracay and Puerto Princesa in Palawan, but often find they are discouraged from booking tours outside of those offered by the Cruise Companies, with warnings of ships not waiting for late boarding guests, tour operators being unreliable or uninsured etc. So how hard is it, to book outside of the Cruise Line’s own Tour Offerings? Really not that difficult at all! The Cruises are visiting destinations, with established tourism, tours and activities and it’s as simple as advising the tour operator, in advance of the arrival and departure times, to ensure guests are returned in time to board. Boracay.travel and GoPalawan.travel have been offering bespoke tours for Cruise Guests for 2 years already. Sometimes bookings are made by whole families, or by a group of cruise goers who post in the many Cruise Line Forums, inviting others wanting to take tours, to join their group and share the Tour Cost. Even with dockings at 9am and departures at 5pm, there is sufficient time available for a Private, bespoke Tour to the Underground River, or Honda Bay in Puerto Princesa. Or to have a range of tours or activities arranged for them, such as a Paraw Sail, Parasail or Helmet Diving on Boracay. The benefits to the Cruise Guests is they can organise something that they truly want to do, and they can also talk to people who are ‘on the ground’ and able to put them in touch with local restaurants for pre-booked lunch tables, rather than the limited range of activities and options offered by the Cruise Line. Often at a more reasonable price too. In addition, the guests can be assured that they are contributing more to the local economy and can enjoy activities that others may not have the opportunity to do. Tell us how many people are in the booking, whether they are established friends or family, or people you have pulled together through chats on the Cruise Forums. Check out our Tours Pages Boracay.travel and GoPalawan.travel and see what is on offer, at least one month before your arrival. Email us through the ‘Customise it’ button on the tour page, with your date and time of arrival, disembarking and departure time. We can wait for you to gather more people via the Forum, if you want to make your tour cheaper, and then will email them a separate payment request. Once paid and confirmed, we will send you a Booking Voucher and an email, with all the information that you need and will be on hand to answer your questions. Palawan is often referred to as ‘the last frontier’; an exotic tourist destination with untouched islands, limestone cliffs, forest jungles, coral reefs and majestic mountains, teeming with wild life. Palawan is a real treasure chest for visitors, offering lots to see and do. Puerto Princesa is the capitol, a ‘city in the forest’ and has been acclaimed as the Cleanest & Greenest City in the Philippines; just 10 minutes away from the airport and you can be in a quiet area, surrounded by trees, and peace and quiet. Whilst in Puerto Princesa there are lots to do, aside from visiting its most famous land-mark the Underground River Whilst visitors, still need to pre-book (sometimes months in advance) for a tour, it remains a whole day excursion, with a 2 hour drive to Sabang, a wait for the permits to be issued and boat number to be assigned, then waiting at the entrance for your paddle boat. Other Tours and Activities include a tour of Honda Bay, and its surrounding islands and the City Tour, which includes a visit to Baker’s Hill, with its bakery shop and colourful gardens, and the Binuatan Weaving Creations workshop, where you can purchase many of the items directly. For those looking for a bit of action Irawan Eco Adventure Park is great fun, and boasts the longest zipline in Asia. Although, in truth, it is not one continuous zipline but several sections, through the tree canopies and across rivers, and great fun none the less! There is also a Skywalk, Butterfly Farm and Carabao Ride and a stop off for lunch. Cecilia’s Inn, is a modern property with a Victorian-style design. Located in the quiet area of Bancao-Bancao, Cecilia’s Inn is just 3 minutes by trike from the airport and from some of Puerto Princesa’s top Restaurants. If you are looking for some beach and land based adventure in Palawan, consider visiting Coron. Coron is a municipality of Palawan, Philippines. It consists of several islands and small islets spread across the South China Sea and Sulu Sea. It is a popular scuba diving destination with aquatic views of beautiful coral life, tropical fish and sunken World War II ships. It was listed in Forbes Traveler Magazine as the top 10 best diving sites in the world. Aside from scuba diving, kayaking, swimming and snorkeling, visitors can also take the Calauit Safari Expedition. The safari tour takes you to Calauit Island which houses an African game preserve and wildlife park. 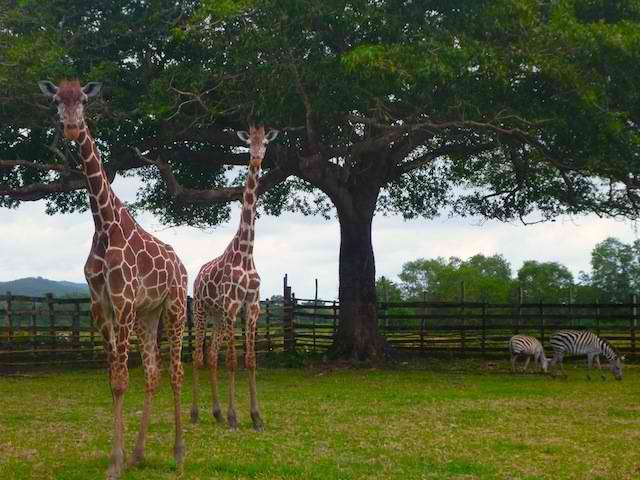 This Coron tour will let you see a wide array of wildlife on land such as giraffes, gazelles, zebras, monkeys, wild boars, deer and other African wildlife brought into the country many years ago. The affordable Coron Calauit Safari Expedition will include transportation and transfers, entrance fees to the game preserve, breakfast and lunch, drinks, safety personnel and an English speaking guide. For easy access to various Coron tours and adventures, book yourselves at hotels in Coron Palawan. This lets you get closer to the action, the beaches and various Coron expeditions and activities. If you wan to make the best of your Palawan vacation, you might want to take a budget tour around Coron. 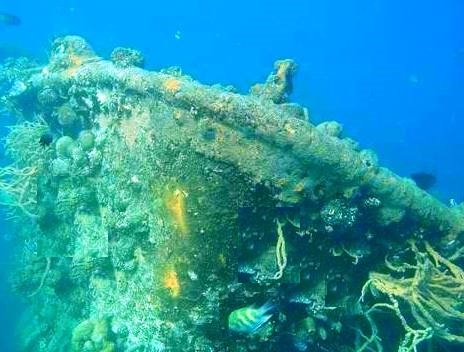 Coron is the largest town in Busuanga, Palawan and is famous for its wreck diving where divers can see sunken ships from World War II. Coron is also famous for snorkeling, limestone cliffs, wildlife, and white sand beaches. The 8-hour Coron Islands and Lakes Tour is a budget tour that let’s you see all of these in one affordable package. Some sites to see during this tour are the Kayangan Lake, the Coron Harbor and Bay, various beaches where you can swim and snorkel, and flora and fauna on land. You will also get to visit Coron’s twin lagoons and coves surrounded by limestone cliffs. Other interesting places you will get to visit through the tour are Siete Pecados Marine Sanctuary, CYC Beach and the Hidden Lagoon. To make the most of your Coron Islands and Lakes Tour, it would be best to look for hotels in Coron Palawan and make a booking before you leave for your Palawan vacation. If you plan to visit Palawan in the Philippines, you should consider booking your hotels, tours and transportation early on. One of the most useful services you can benefit from is the Puerto Princesa to El Nido Shuttle Service. This will give you a comfortable ride from Puerto Princesa to El Nido and back. Booking at an official and legitimate service will save you a lot of trouble and inconvenience. WHL offers this service to Palawan visitors and tourists. 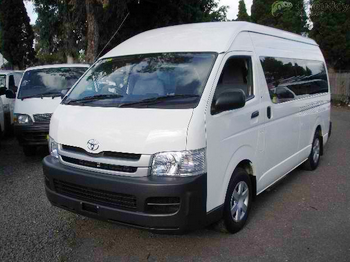 It is a reliable provider with a number of air-conditioned vans that can sufficiently provide transportation needs for the thousands Palawan tourists visiting the province. To be on the safe side, you should consider booking a round trip seat at a reputable and accredited WHL shuttle service. This assures that you will get from one point to another safely and on time. As a pre-booked client you can be assured of a seat and assistance from an English speaking guide. Travel time between Puerto Princesa and El Nido can take as long as 5 to 6 hours. Locating a good provider than can offer comfort and efficiency throughout the trip will make your vacation more of a pleasure than an exhausting inconvenience. A good Palawan airport transfer company can also offer more than the basic service of getting you from one point to another. You can take bathroom breaks in-between destinations, and enjoy the panoramic views that Palawan is famous for. Ensure a smooth journey by booking your transfer services early. If you want to see more of Palawan Island in the Philippines, consider taking a tour of the hidden beaches and shrines around El Nido. You will see the source of inspiration of Alex Garland’s novel “The Beach” which was turned into a movie starring Leonardo Di Caprio. Another movie that featured scenes from El Nido is “Bourne Legacy” with some scenes shot from Matinloc and Dilumacad which you will also get t see through the El Nido Tour C : Hidden Beaches Tour with the Dimalumacad Island visible and accessible via helicopter. The Kulasa Beach is a 100-meter beach strip of fine white sand. The sea floor surrounding the beach slopes gradually and the water deepens only after about 10 meters. This is a great beach for swimming and snorkeling due to the abundance of marine life in this area. Other places to see on this tour include visits to Tapiutan Island and Star Beach among others. To get the most of your visit to El Nido tour, stay at affordable Palawan hotels in the area. The El Nido Tour B: Caves and Coves is a whole day tour that includes visiting El Nido’s pristine beaches and the coves of Bacuit Bay. In this tour, you get to see towers of marble cliffs, white sandy beaches, and the jungles of Palawan. National Geographic has chosen El Nido as one of th best travel destinations in the world, coining it as the Philippine’s Last Frontier. Pangalusian Island which has one of the widest stretches of white beaches is ideal for sun bathing, sunset viewing, and other beach activities. Great for scuba diving and snorkeling. Pinagbuyutan Island has soft powdery white sand where water is shallow with a snorkeling area full of fishes. Vigan and Snake Island has a sandspit and shallow swimming areas. Climbing the hill of the nearby island provide a glimpse of an awe inspiring seascape and a bird’s eye view of Bacuit Bay. Cadugnon Point and Cave is an important anthropological site, where jewelry and pottery dating back to the Sung Dynasty (960-1279 BC) were yielded. The anthropologists believe that the cave dwellers were from Borneo. A small opening hidden among the rocks near the beach reveals a cathedral like cave inhabited by sea sparrows. 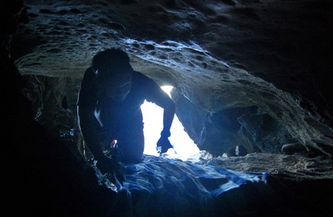 Pinasil Island and Cathedral Cave has a cathedral-like cavern accessible by dinghy and kayak. This one of important sites for the busyadors or the birds’ nest gatherers. 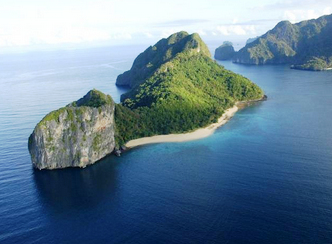 This El Nido Tour lets you see the hidden treasures of El Nido, the caves and coves of Palawan. There are affordable Palawan hotels in El Nido such as the El Nido Waterfront Hotel. This Palawan hotel offers a great view of Bacuit Bay.